Imports of goods outside a country are generally subject to customs tariffs, and this is what usually protects local products from absorbing increased competition in the market. If your business in Indonesia is manufacturing companies, some goods (machinery, raw materials) can only be found abroad. There are also a number of machines needed for manufacturing processes that can actually be found in Indonesia, but do not always meet standards for manufacturing. 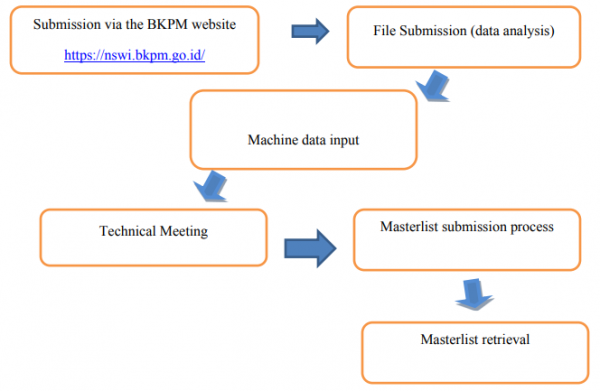 The Investment Coordinating Board (BKPM) has made regulations for this issue, and the Investment Coordinating Board (BKPM) has given an option for companies to make a Master List of machines to be imported into Indonesia. The Master List usually refers to a list of goods or raw materials that are produced or a review of the manufacturing process for one year. To be approved, the Master List must be submitted to BKPM or the Customs and Excise Office (in some cases) so that they can review. Based on the regulations stated in PERKA BKPM No. 16 of 2015, import duties for machinery will be provided as long as the machines have not been produced domestically, have been produced but have not met the required specifications, or the number of machines is not enough to accommodate the Industry. In addition to API-P, API-T and API-U import licenses, companies need to apply for import permits for some goods (machinery, raw materials) which is Master List. In accordance with the above explanation regarding the Master List, this permit was made after the company had the API-P, or API-T or API-U import licenses. IndoNed Consultancy has assisted our clients in making Master Lists to conduct business in Indonesia. We always provide the services needed by our clients on doing business in Indonesia, because the success of our clients is our success.